There is a place in Okotoks, Alberta, that we absolutely cannot drive by without visiting. If I do, my kids will surely voice their disapproval. However, truth be known, I’m just as big a fan of Monkey Mountain Toys & Games as my kids are. I wish the store had been around when I was growing up in this town! 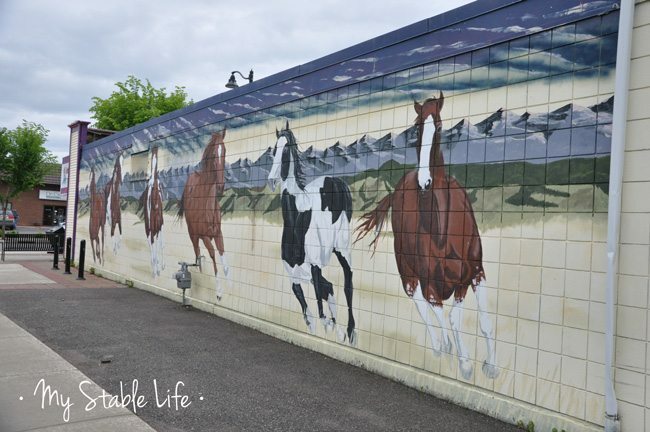 The horse mural on the side of Monkey Mountain Toys & Games in Okotoks, AB. Located on main street Okotoks, there is no disguising the store. Monkey Mountain has the most beautiful mural of running horses painted on its side. My twins recognize it immediately and I’ve seen all kinds of people taking pictures of the wall-length painting. It’s also a hot spot for brides and grooms for one-of-a-kind wedding photos. 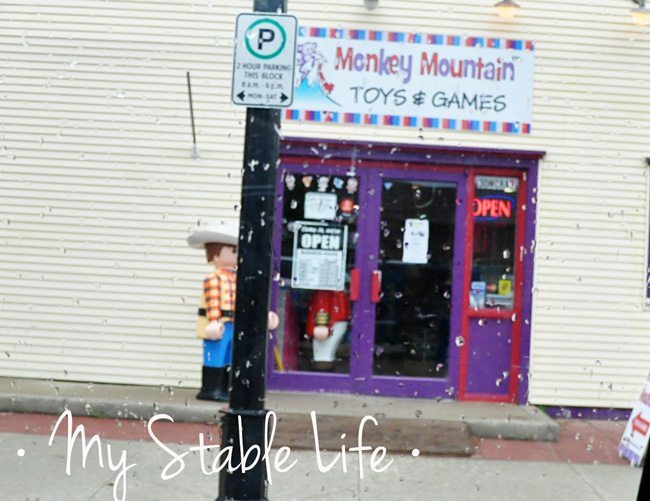 A drive-by shot of Monkey Mountain Toys & Games in the rain. Recently we discovered Schleich toys and with the new line-up of play collectables, I have to admit I was the teeniest bit envious… Envious because I would have died to have toys like this as a child! 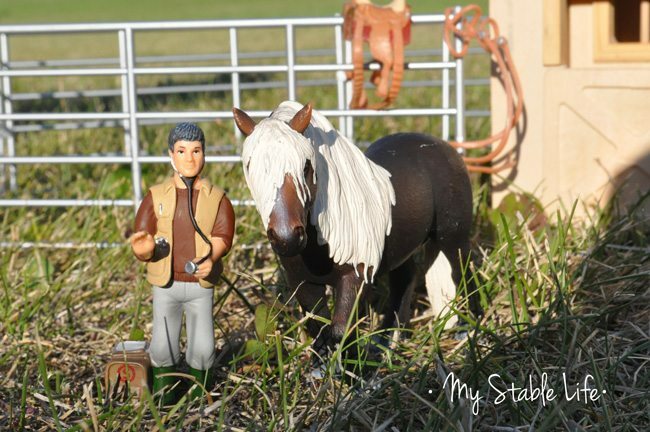 We were so fortunate to pick up a halter and blanket, feed (apples/carrots and grain), a western saddle and bridle, veterinarian, hay and wheelbarrow and boots and brushes accessory sets to go along with the numerous Schleich horses available. Everything from Quarter Horses, to Lipizzaners, to Falabellas and their foals are made by Schleich. Our Schleich barnyard, with many of the available 2014 accessory line-up. The attention to detail that Schleich imparts with their toys is phenomenal! And if you look at one of the Schleich business mottoes – “Educational aspects play a more important part than possible sales potential,” you feel good about introducing their items to your children as well. 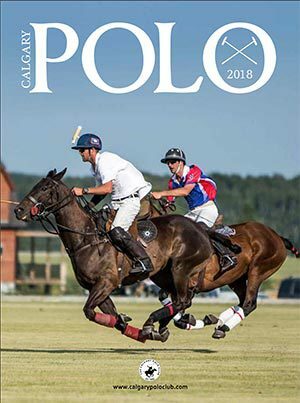 Being a horse person, I can vouch for the accurate and intricate details the company has made to this year’s line-up. My twins immediately took to the realistic halter and blanket set, having seen us (their parents) blanket and halter horses a countless number of times. Blankets protect show horses from the cold weather and halters are necessary to move the horses from their stalls to their outdoor turnouts each day, or anywhere else we need them to go. 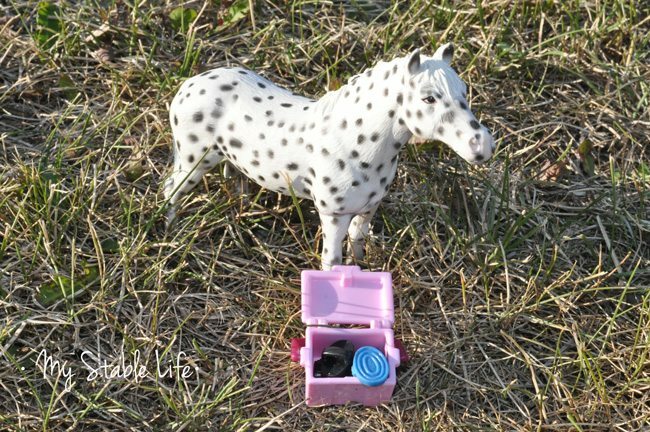 So the kids have been practicing moving their Schleich horses from the barn to their turnouts and to the tack-up area, to get saddled for the day’s workout. 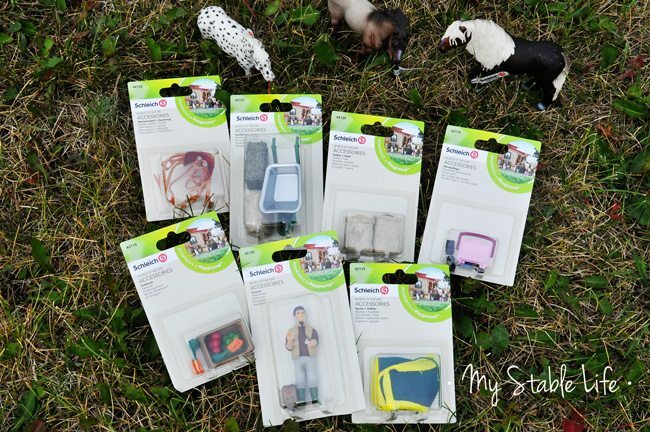 In miniature version, I can’t tell you how exciting and detailed these new accessories from Schleich are! I should also explain that Schleich is a toy manufacturing company, founded over 75 years ago in Germany. Playing with Schleich figures is similar to a game with no instructions and no limits, which lets the child’s imagination run free. 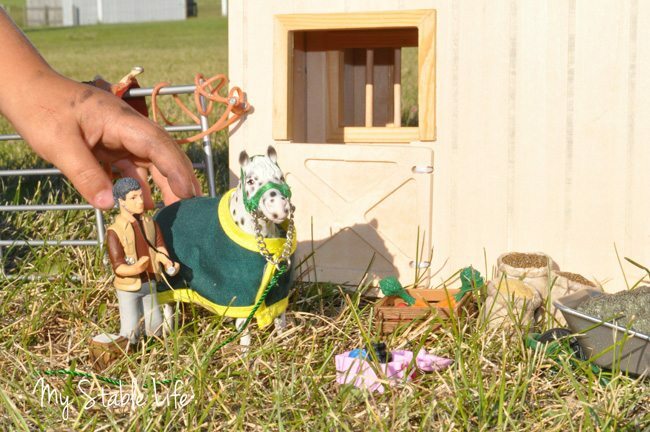 They can imagine themselves in a bigger world, with toys that are true-to-form and exceptionally detailed figurines that are unbelievably realistic. 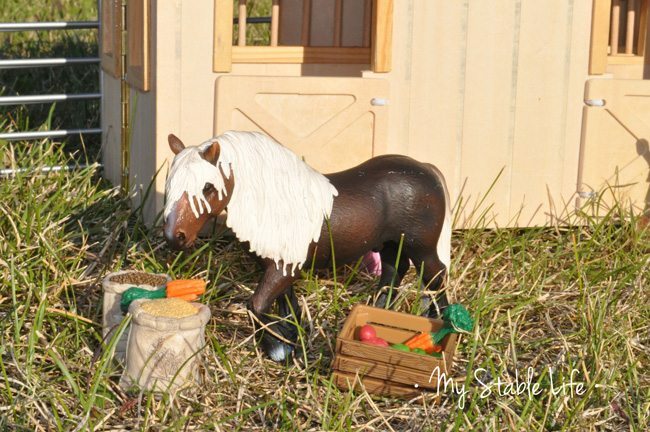 A Schleich Black Forest stallion with the 2014 selection of feed accessories. Of particular interest to me was the Schleich veterinarian, available in the 2014 line-up. 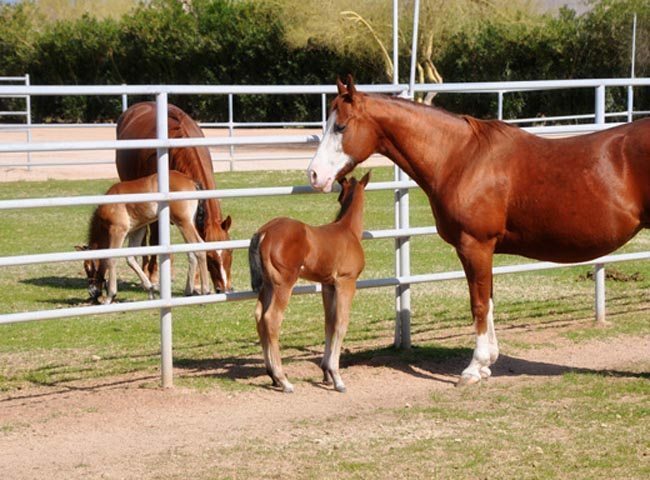 Of course, our children are very familiar with us as the trainers and caretakers of these beautiful animals, but veterinarians are also key individuals in the lives of horses as well. As parents, we hope we are making our kids aware of all kinds of career choices in the future – even as young as they currently are. But that’s another perk of Schleich toys, they are recommended for children 3 and up! 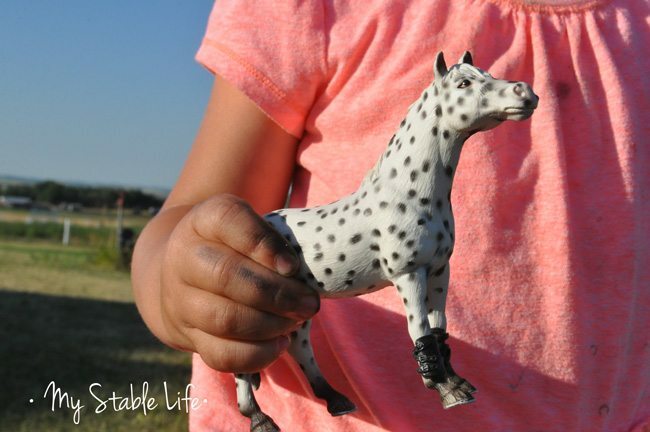 We took all our new Schleich toys to the horse show we attended this past weekend and again, they were a big hit! And now that we have discovered the world of Schleich, I am so excited about adding to our collection! 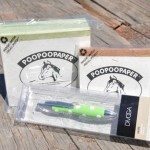 So much so, that I thought My Stable Life readers should benefit from it as well. 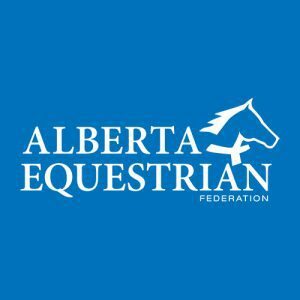 Drop me a comment in the Comments section below and tell me about your best tip for keeping kids occupied at the horse show (I need all the tips I can get!!) 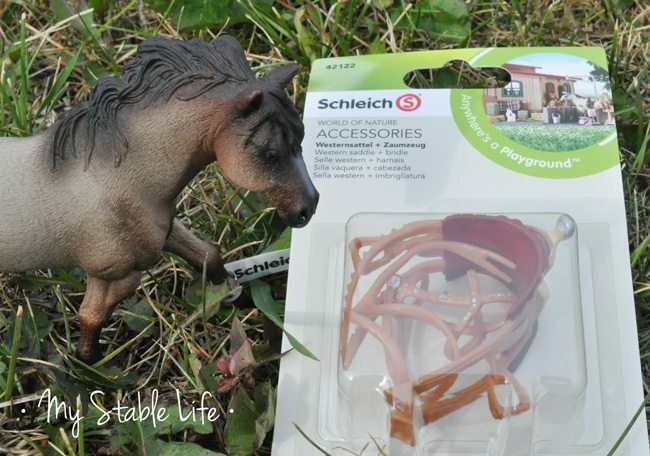 and you will automatically be entered to win a Schleich Quarter Horse and western tack accessory outfit!! Contest ends August 8 and the winner be decided by a random random drawing. Go! Oh man just what I need!! For my wedding! We are planning a “fund a farm” display instead of a registry. We need tons of Schleich! We take our mini pony to the arena with us, our son just loves to brush her and pick up her feet…over and over! Daisy is such a good pony! When he is tired of Daisy, we take out his “dirt” toys. He will play for hours with his Tonka trucks in the roping box. I love it, because I can see him and I know he is safe while I get some horses rode. He also loves his Schleich toys, however he is only 2 and still loses little toys, so we only play with them at home for now! We would love to add to our collection… I say “we” because I love them too! Bring a friend!!!! And a whole bag full of colouring markets, colouring books, toys, and of course snacks!!! My daughter and her friend spend days sitting in bleachers playing, colouring, etc… They love it!!! We take my daughter’s collection of toy horses and cows (most of them also Schleich) and the tiny metal panels we got for her at Christmas time. She sets up shop at the show and plays for hours. We love them because they are tough and can go anywhere, and are easily shared so that other kids can play with her. Find a safe place that is not in anyone’s way and bring out the dirt toys. 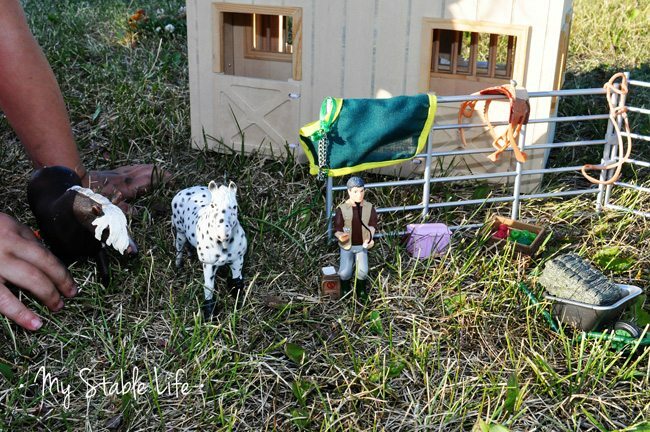 If there is no dirt bring out the toy farm and accessories. 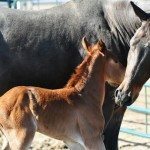 We have been attending horse shows and rodeos with our son since he was a baby. He started riding and showing when he was just under two years old in the leadline classes. He was always all decked out in a vintage kids cowboy outfits with his jangling spurs and double holsters and cap guns. When he wasn’t riding he would be playing with his Fort Apache with cowboys, indians, horses, teepee’s and all the little accessories. Those were his favorite things to play with all the time! He loved to play with the rodeo and ranch set ups too. He would watch nothing but the old cowboy show of the Lone Ranger, Gene Autry, Roy Rogers and his favorite was John Wayne. He would walk with a swagger like John Wayne and have a horse in one hand and practice his quick draw with the other hand. Those times are my favorite memories (he’s 12 now) and he still plays with his cowboys and horses occasionally, but now I have a grandson from his brother and the little guy loves to play with the horses now. The best way to keep my kids occupied is take a variety of small toys and find a sandy spot where they can play and dig. Keeps them busy for hours! 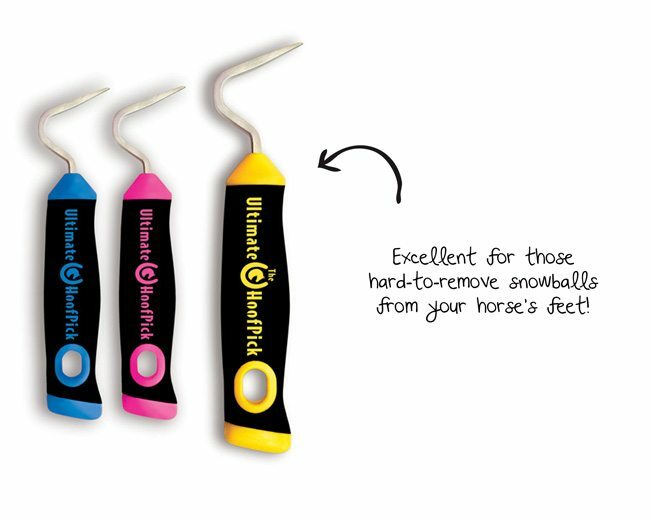 Have kids compete in exhibition or short stirrups classes. Bring the dog. Although it might seam like more work, my son loved having Maggie to play with and take care of. 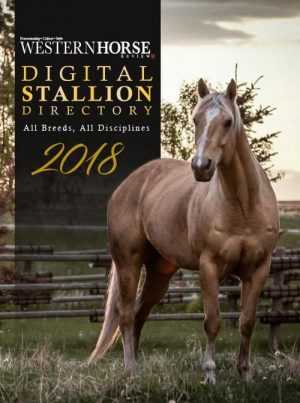 She has run miles at the Red Deer Westerner, and climbed the dirt pile a hundred times. Be prepared for a very dirty dog and child, but happy and tired at the end of the day. Give them a cheap digital camera. It doesn’t matter if they’re 5 or 15, kids love to capture moments……and what better moments, than mum or dad competing! I always bring a few tonka trucks for my son, and my daughter brings a bucket full of horses, they then add some water and voila!! busy for hours! Schleich also has a whole bunch of other animals besides horses, so they like to add to the collection, and Schleich also puts out a mini book that the kids love to go thru, it’s like a “wish book” …. always looking for something to add to their collection!! Horses, Tonka trucks, trailers for outside fun. Books and colors for inside time. I think you should send this story to the Schleich website and to the manufacturer! 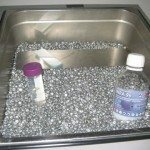 I think they’d love your advertising, and maybe you could get some additions to your collections! Get them involved in the show itself. 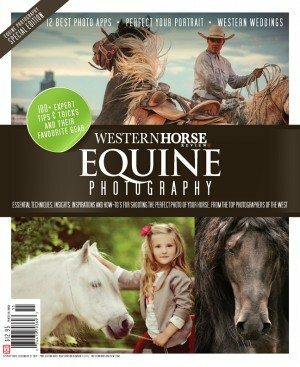 At a show we attended last Fall, three of my four grandchildren helped show our horses. My teenaged grandson isn’t big into riding so he showed his favorite mare in hand. 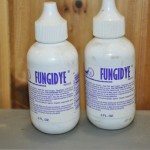 Even the one who didn’t show was involved in grooming horses and cleaning tack. Showing for us is a family affair. 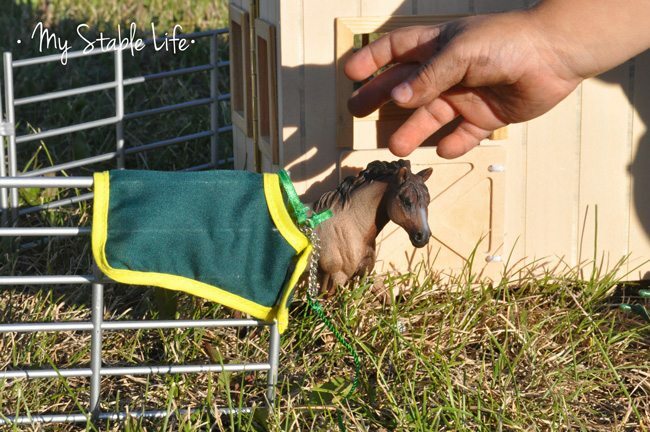 Tip: bring a few schleich horses+riders set up an area with a hay bale and have them “catch” the horses they will race up and down the “mountain” for hours when they “catch” them give them a bucket and soap then they will wash the horses over and over.